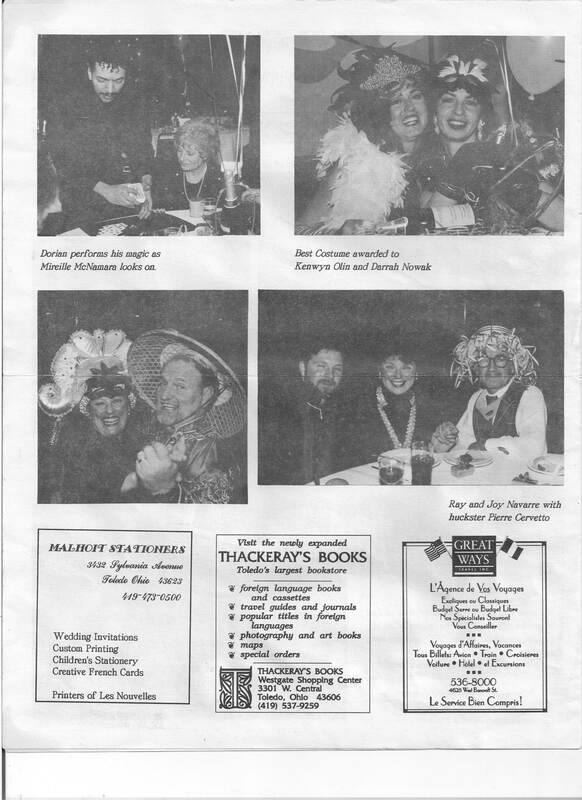 Here are some pictures recovered by Kathy Dimitroff from our last Mardi Gras event. This phenomenal event included over 300 guests with Jerry Anderspn as MC. Many of our members recount this as one of the best events of the year. 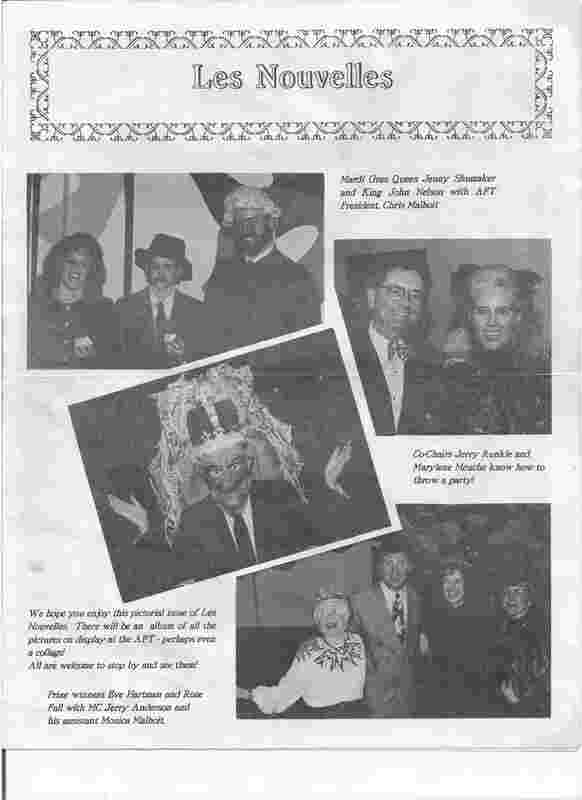 In celebration of our 50th anniversary, the Alliance Française de Toledo is planning to bring back Mardi Gras. We want to thank all our members and the community for their continued support of our organization. More details will be posted soon. Make sure to keep your membership account up to date to receive upcoming details of our special planned events this year.